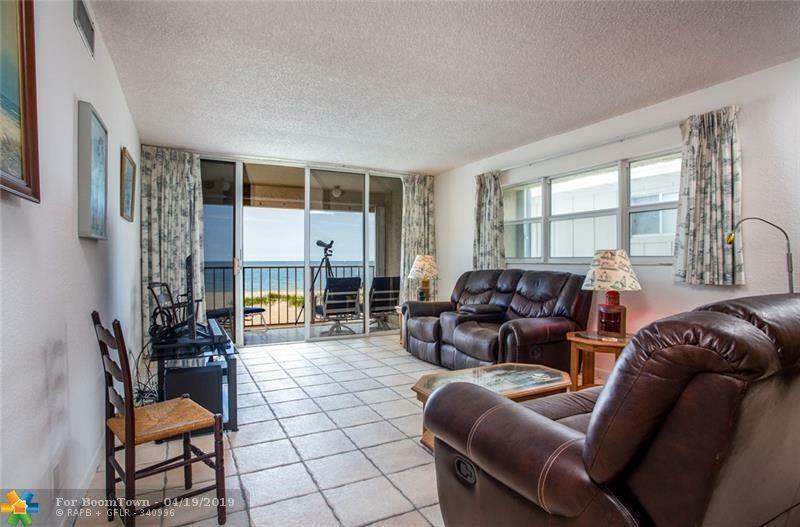 Unique opportunity to live in a cozy boutique style directly on the sand! Choose to swim or relax poolside or Oceanside. You are literally just steps away from the beautiful white sandy beaches of the majestic Atlantic Ocean! 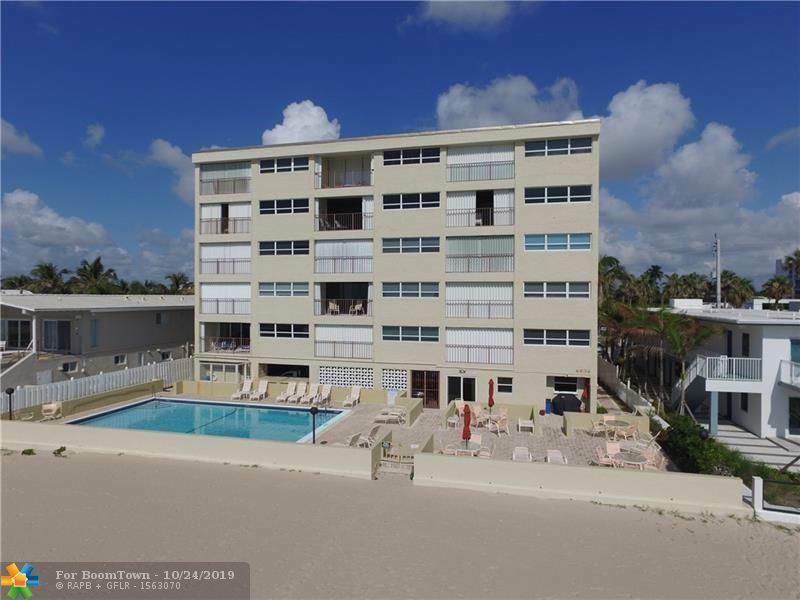 This "Old Florida" style building has only 15 units and is located in the quaint beach community of Lauderdale by the Sea. Beach style cafe's, restaurants, shops, taverns and outdoor life surround you in this wonderful beach side community. 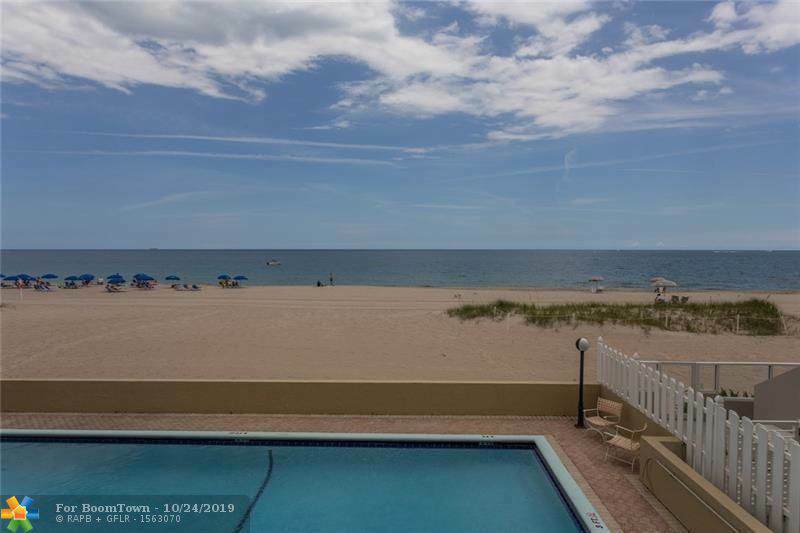 This unit is two bedrooms and two baths with a terrace that extends the entire length of the living room overlooking ocean w/ access from the master bedroom. Updated kitchen & electrical and NEW IMPACT WIDNOWS AND SLIDING DOORS. Community laundry and trash chute on the same level and lower level kitchen area and bbq by pool.